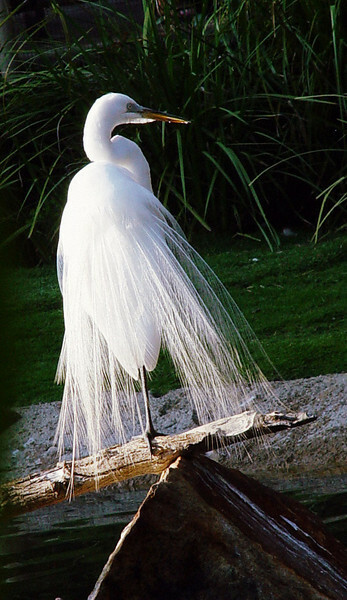 Snowy Egret adults are typically 24 inches long and weigh about 13.2 oz. They have a slim black bill and long black legs with yellow feet. The area of the upper bill, in front of the eyes, is yellow but turns red during the breeding season, when the adults also gain light, lacy plumes on the back, making for a "shaggy" effect. The juvenile looks similar to the adult, but the base of the bill is paler, and a green or yellow line runs down the back of the legs.